Introducing Melinda Kirigin Voss, Judi Steiner's daughter: and four of Jan White's offspring -- Jennifer, Jessica, Lexi and Emily. Professional singers all, and moms too. During one of our annual soirees a couple of years ago – it may have been the collective celebration of our 70th year on Planet Earth—Judi Steiner Kirigin made a scathingly brilliant suggestion: “Get our children to provide the entertainment for our 55th and 60th reunions.” She had her own daughter and a few others in mind. And, we've been working on it ever since. The lineup of singers for Saturday night's 55th Reunion Dinner include's Judi's dauighter Melinda Kirigin Voss. and four other daughters of our classmates. If you live near Salt Lake, you may have heard Melinda in person.. If you haven’t, here’s a little preview of what you can expect Saturday night August 11th at our 55th Reunion Dinner. Over her career, Melinda has performed with the Utah Symphony, the Boston Pops Esplanade Orchestra, the Elgin Symphony Orchestra, the Israel Chamber Orchestra, Marvin Hamlisch, and as a background vocalist for Broadway star Elaine Paige. She sings at live concerts for the Excellence in the Community Concert Series in Salt Lake City, regularly performing in concert at venues including the Gallivan Center, Covey Center for the Arts, the Viridian Center, and the Peery Egyptian Theater. Melinda has participated in several international concert tours, including Germany, Austria, the Czech Republic, France, Italy, and Israel. She has sung with the Utah Chamber Artists, one of Utah’s premier professional choral ensembles, for nearly 20 years and is frequently featured as a soprano soloist. In addition, Melinda has served as the Director of Music at St. Thomas More Catholic Church since 2015. Her full bio can be read here. Melinda isn’t the only “daughter of the class” who will sing for us at the Reunion Dinner Saturday night. August 11, 2018. Here are the others. The well-traveled Giauque (pronounced “Juke”) sisters – Jennifer, Jessica, Lexi and Emily – are daughters of our classmate Jan White and her husband Kent Giauque. They will join Melinda Kirigin Voss, Judy Steiner Kirigin’s daughter sing to us Saturday night. 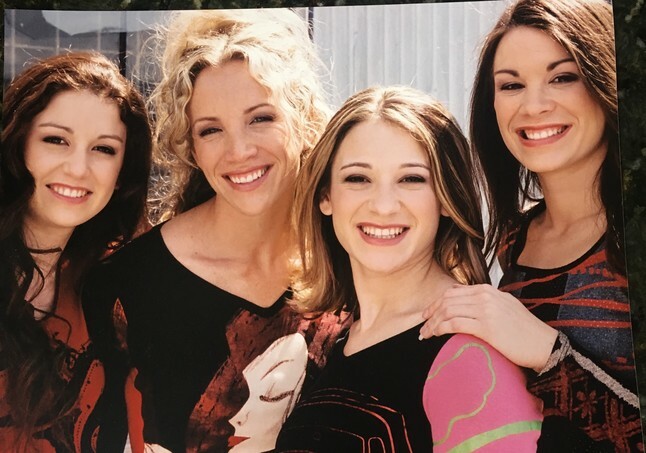 Like mom, all four graduated from Olympus and were involved in theater and music programs before moving on to bigger stages at The University of Utah and Brigham Young University and around the world. They performed together at “Olympic Square” during the 2002 Olympic Winter Games. All have performed throughout Europe and Japan had a development contract with Sony Records. Collectively, they have produced 11 grandchildren (another is on the way). 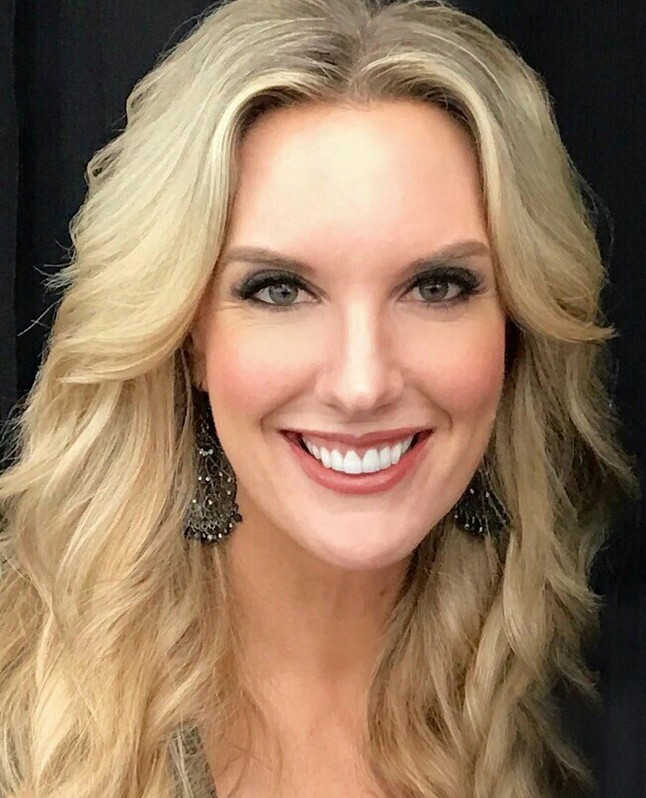 Jennifer (Tingey) danced for a season in Opryland, a year at Disney World and Universal Studios, Norwegian Cruise Lines, and as an NBA Orlando Magic Dancer and was in the original cast of Disney Cruise Lines. Her choreography begins with high school include multiple high school and college dance and drill teams, and BYU’s musical production of “Mary Poppins”. It includes 2002 Opening Ceremonies, Sea Trek, Disney World audition tour, Hale Center Theater, and Lagoon Resident Choreographer. Currently Jenny is in her 16th year as head of the Jazz Department at BYU. Jessica (Drage) started performing in shows at Lagoon at the young age of 11 and made the stage her “summer home” throughout high school. She played Millie in “Seven Brides for Seven Brothers”, Anita in “West Side Story” and Agnus Gooch in “Mame”. She was the lead singer/dancer in the NASCAR Races in Japan, and spent a year singing and dancing on the Westerdam stage of Holland America Cruise Lines. Emily (Evans) started singing early. At 9, she sang with The Platters in a performance at honoring Muhammed Ali; with Donny and Marie, Babyface and at Abravanel Hall for Senator Orrin Hatch’s Women’s Conference. She went on to sing with her sisters at Sony Records, and later had leading roles in roles as Rizzo in “Grease”, Adelaide in “Guys and Dolls” and Amber in “Hairspray”. And, she was the lead singer/dancer on a world cruise for Holland America. While her husband was a dental student, Emily starred in several products at the intimate Hale Center in Gilbert, Arizona. She was Nelly Forbush in “South Pacific,” Lola in ”Damn Yankees”, Jane in “Tarzan”, Judy in “9 – 5”, Hope Harcourt in “Anything Goes” and Ruby in “Dames at Sea” and was twice named Arizona’s best lead actress.